Mama Shelter Hotel chain recently opened doors of a new Hotel Mama Shelter Belgrade. 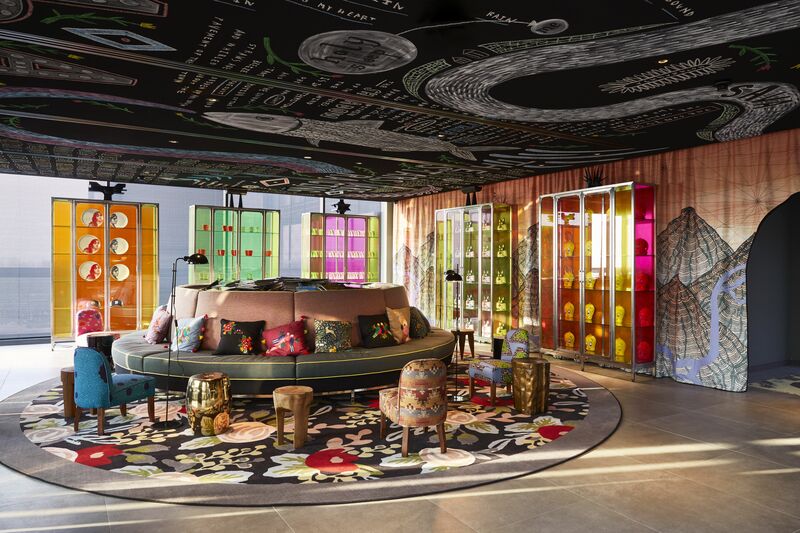 The jubilant and avant-garde Mama Shelter hotel chain on 8th March opened doors of a new Hotel Mama Shelter Belgrade right in the heart of the city. As the company says, the Belgrade’s spirit and atmosphere goes hand in hand with the Mama Shelter’s bold vision. Belgrade, as the city flush with colour and hypnotic charm, signed with a dash of dolce vita and intertwined with the Central European elegance and a resilient Slavic character, represents a perfect home for Mama Shelter. It is the place where young people enjoy life, unleash their creativity and reinvente their world. Just the same as the Mama Shelter does. The proof is the hotel’s interior, designed by Jalil Amor, that echoes the city’s own identity. Hotel’s 125 rooms look out onto Ulica Kneza Mihaila (Prince Michael Street), the Serbian iconic pedestrian thoroughfare. At the same time, the rooms offer a rest far away from the hustle and buste of the city, for they are fully soundproofed. For the MICE travelers, Hotel Mama Shelter Belgrade offers workshops, spacious meetings rooms and conference venues. In detail, there are 4 ateliers of 25, 68, 88 and 93m2 with LED screens, Velleda walls, common lunch & snack break spaces, flexible, modular layouts and BOSE sound system. The hotel also possesses Mama’s monumental rooftop with its 500m2 open-air pleasure with views of the setting sun and Belgrade’s citadel on banks of the Danube. The Mama Shelter, which swears on atypcial, eccentric, inclusive and unique hotel, started its journey in 2008. In the last 10 years it has opened hotels in places in which the company found their own captivating stories: Marseille, Lyon, Bordeaux, Los Angeles, Rio de Janeiro and Paris. The company announced two new openings in Toulouse and in Prague. Next articleExclusive concert of Bryan Ferry – in a Fortress!